Then and Now: Here is an unrestored end panel of this same model J.D. 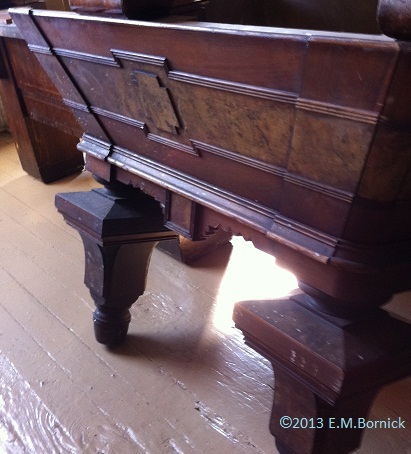 Babcock billiard table (courtesy of Bankshot Antique Pool Tables, Albany, NY). 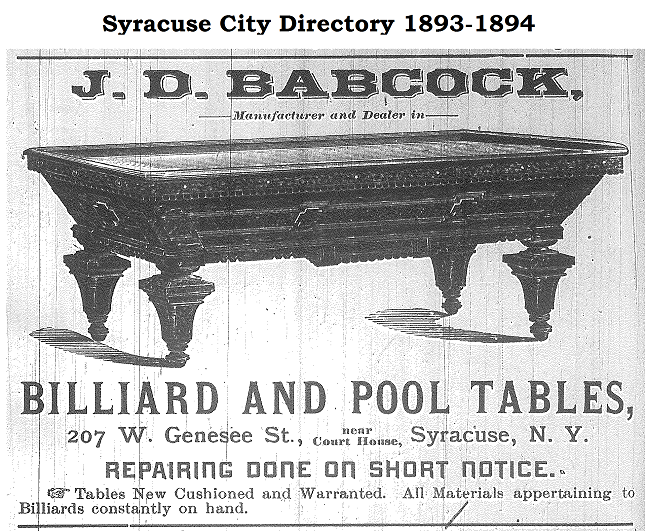 I've found that the engravings in ads during this era did not always represent actual tables produced by that particular billiard table maker, but this one certainly was accurate.